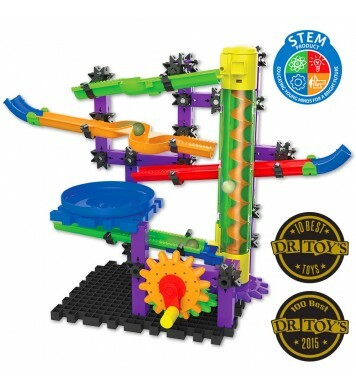 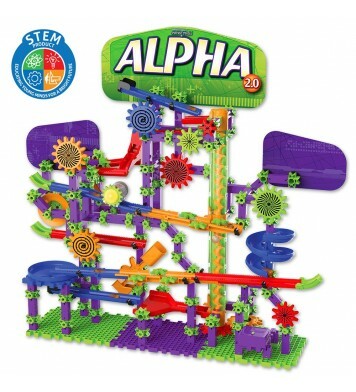 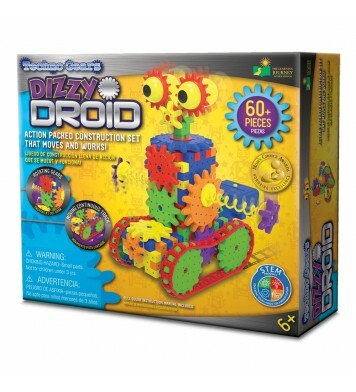 The Zany Trax 2.0 set includes over 80 pieces to build and create your own marble and gear run. 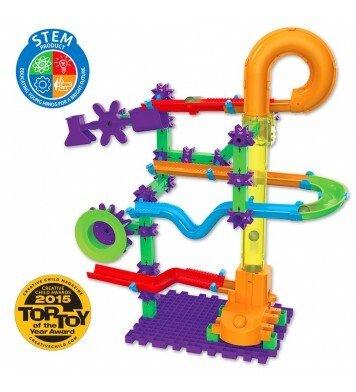 Once completed, the corkscrew marble lifter can be cranked to elevate the marble to the top of the build where the zany tracks and the fun begin. 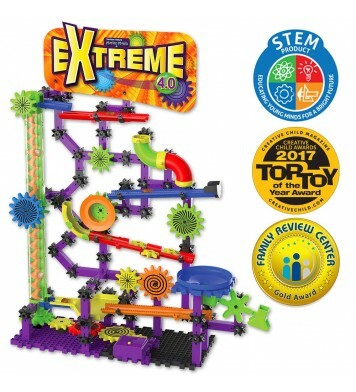 Ages 6+ years.